International shipping companies all agree – Africa is currently one of the most popular heavy construction machinery shipping destinations! International machinery shipping services are available from several United States ports including New York, Baltimore, Charleston, Jacksonville and Galveston to West Africa including ports in Senegal, Gambia, Guinea, Sierra Leone, Ghana, Togo, Benin, Nigeria, Cameroon, Gabon, Liberia, Congo, Equatorial Guinea, Democratic Republic of Congo, Angola and Namibia. Some of the most popular heavy equipment shipping ports in West Africa include: Dakar, Senegal; Tema, Ghana; Lagos, Nigeria; Tin Can Island, Nigeria; and Cotonou, Benin. Arranging pre-shipment inspection of export construction equipment destined for African countries that require this inspection. Arranging fumigation of construction equipment shipped in container from the USA to African countries that require fumigation prior to shipping. Heavy duty highway and construction trucks, excavators, bull dozers, motor graders, Caterpillar heavy equipment, Komatsu construction equipment, Mack trucks and trailer shipping to Africa is easy when you use one of the best overseas shipping companies in the USA – K International Transport! Contact K International Transport for more information on worldwide construction equipment shipping to Africa and to receive international sea shipping quotes or rates. 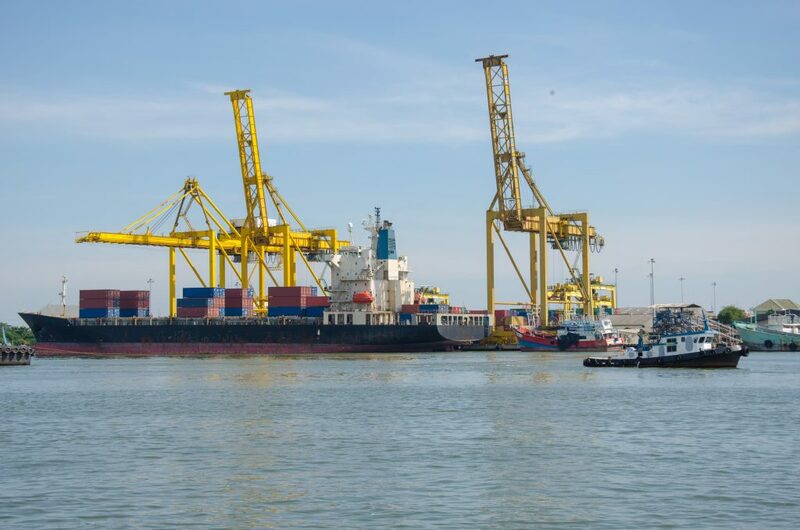 You can also visit our port of call information pages for more international equipment transport information on the two most popular African ports in Tema, Ghana and Lagos / Tin Can Island, Nigeria is available to not only West Africa but to other parts of the continent as well!